Cecilia was born in Lima, Peru. Her mother’s side of the family included artists, musicians and crafters by tradition, so she was naturally inclined to develop her own artistic sensibilities. Fashion has been her passion; so right out of high school she enrolled in fashion design school and started making clothing and accessories for herself and the people she loves. As she moved to the USA in 2001, enjoying being exposed to so much diversity all around, in the cities, new ideas, people from all over the world…it didn’t take long for her to realize that designing and fashion were the right things. 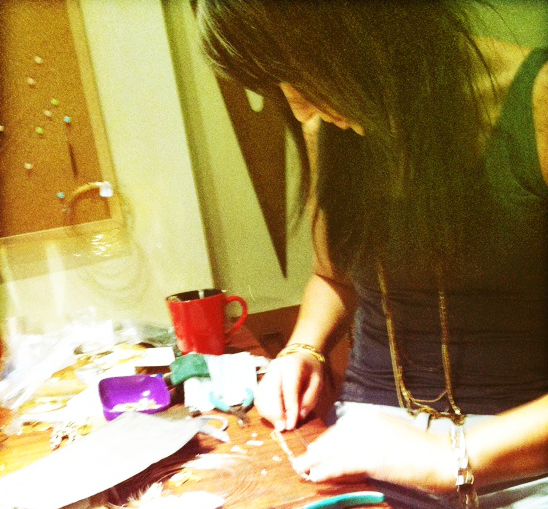 So in 2008, Cecilia Gonzales Jewelry was born. Each new collection has its own life and story. Cecilia draws inspiration from art, cities, music, architecture and awesome people around her.